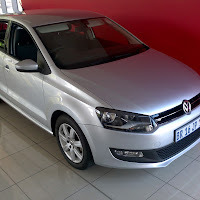 I am currently shopping around for a replacement for my VW Polo 1.4, and decided to see what the 1.6 VW Polo Comfortline was all about. So I booked a test drive with Imraan from our local Zeda Cars. From a quick observation the only way you can tell the difference between the 1.4 C/L and the 1.6 C/L is the badge at the back of the car and if you are a bit mechanically inclined the only other difference is the use of rear drum brakes on the 1.4 and rear discs on the 1.6. That aside, everything is exactly the same, colour coded bumpers and mirrors, front fog lights and 15" alloy wheels. Inside the cabin there is no difference at all. 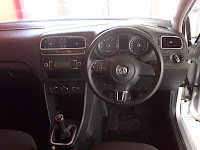 You will get cloth seats, multifunction steering wheel, chrome trim on the dash and leather on the steering, gear knob and handbrake. 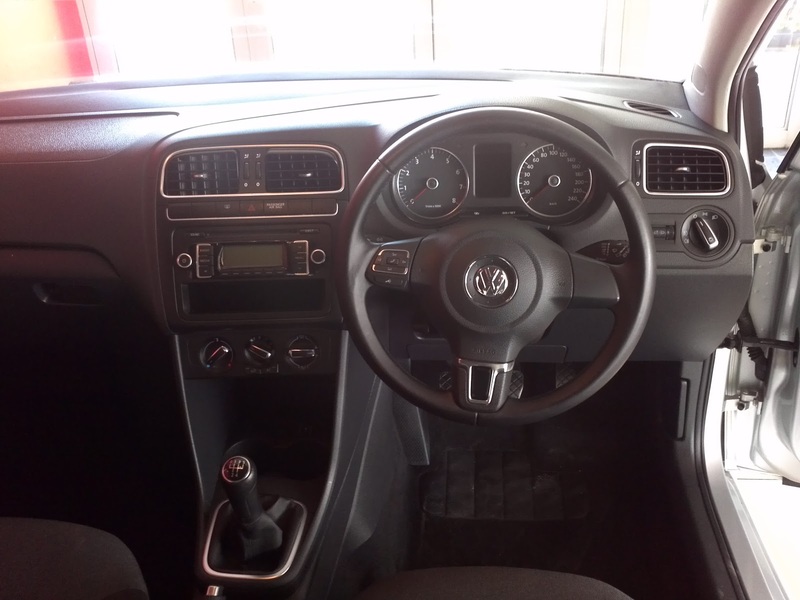 It also features standard comfort features such as airconditioning, power steering, electric power windows and side mirrors and a RDS/MP3 radio. On the safety side you will get ABS and 4 airbags. So cosmetics aside the difference comes in the power plants. 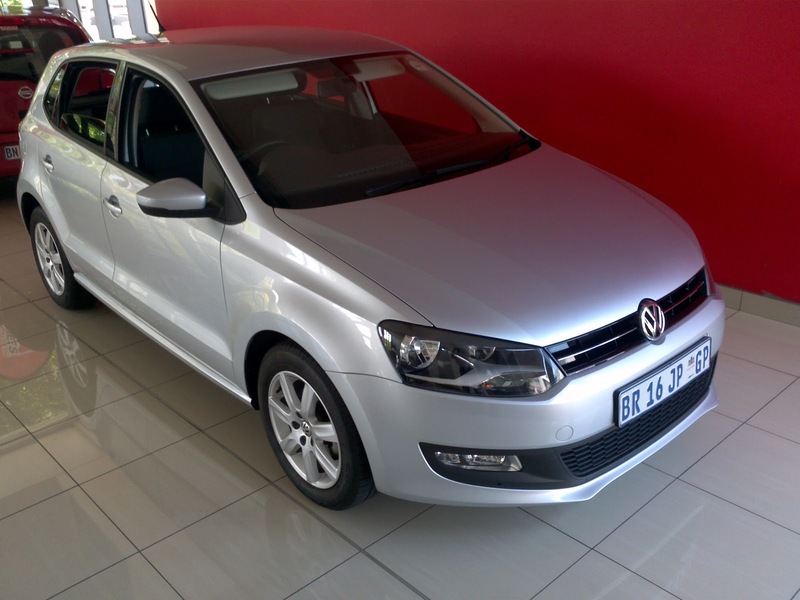 The 1.4 has a 63kw/132nm power output and the 1.6 has a 77kw/155nm power output. Although not a very technical engine it gives you decent torque and surprisingly good fuel economy at a combined cycle consumption of 6.4l/100kms. The 1.6 also produces a distinct grunt when accelerating, not a very quite engine, yet it does give you a bit of a thrill. Out on the highway is where you will really appreciate the power of the 1.6 litre engine as its fifth gear is able to take you up inclines without dropping your speed and it even has enough power to allow to you to overtake as well. Normally in my 1.4 I have to drop to fourth gear before overtaking. At the Sibaya off ramp I tested the braking power of the all round discs and this is where I really appreciated the 1.6., it had a quicker and more confident braking time. Handling was great as well. This is what I like about the Polos, although you get excellent road handling you also get a comfortable ride. 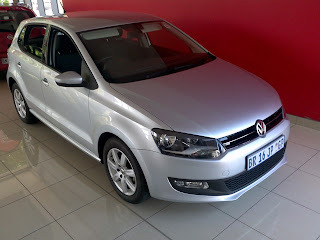 The Polo 1.6 Comfortline comes in at R199600, almost R20000 more than the 1.4. A tad bit expensive considering the fact that you don't get a service or maintenance plan with it. You will get a 3 year/100000km warranty. Not a very attractive price considering other manufactures offer at least a 60000km service plan. An extra R15k will get you a 120000km service plan. Overall it's a good car, but the markets styling and extra value adds are starting to drown the demand for Polos. Other options would be the Ford Fiesta, Kia Rio and Hyundai i20, all of whom come with a standard service plan. Your blog about Volkswagen polo is informative. It is really great work. Thanks for sharing your experience with us. We like Volkswagen polo. 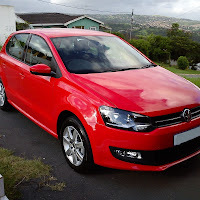 I have bought Volkswagen polo. It has high quality driving, good mileage, interior and exterior looks good. We really enjoyed driving this car . You're welcome. It is a great car and a real pleasure to drive. Do u know why some vw polos have the 1.4 or 1.6 badge at the back and some dont have one at all? Is there a difference? It's the owners preference at the time of purchase. There isn't a difference between ones with badges and without. Im wrong what Deena said is correct its purely end users preference. HI Guys, consumption wise - is the 1.6 much heavier on petrol? Hi Johan, apologies for the late reply. I've driven both and I found that the 1.4 was extremely light compared to the 1.6. And the 1.4 has sufficient power to provide a pleasant driving experience. The 1.6 just has that extra bit of gumption but a bit heavier on fuel.